Yikes! I last posted in summer 2017. What's happened since then? Well, for one thing life happened. For another, editing happened. 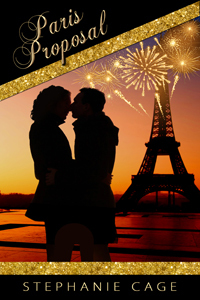 Next week my holiday novella Paris Proposal finally hits the virtual shelves. Paris is published by The Wild Rose Press, who also published my earlier novellas Desperate Bid, The Santa Next Door and Djinn and Tonic. I think this is their best cover yet! What do you think? For another thing, I've self-published a sci-fi romance, just for fun. It's called Sleeping Satellite and you can grab it free from 3rd to 5th December to celebrate the launch of Paris Proposal.